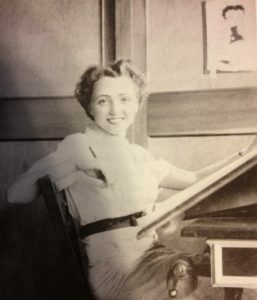 Lillian Friedman Astor (born April 12, 1912 in New York City – July 9, 1989) was the first American female studio animator, working at for the Fleischer Brothers’ studio, inking and eventually animating various Betty Boop cartoons, as well as one Popeye, some Color Classics, and several Hunky and Spunky cartoons, although she received screen credit on only six cartoons in her lifetime. She attended Washington Irving High School where she studied animation and fashion design. After graduating she worked as a fashion designer.